TecSoul Deep is the new label spearheaded by K' Alexi, spotlighting music from both industry veterans and talented young artists. The label follows up on his longtime success of house and techno classics including "The Dancer", "Vertigo", "Essence of A Dream", "All For Lee-Sah", "Medusa", collaborations with the likes of Derrick May, Dave Angel, Marshall Jefferson and Felix da Housecat, and his experience as the head of A&R at DJ International. Currently residing in Berlin and cited by many as one of Chicago's pioneers, TecSoul Deep provides an outlet for K' Alexi's raw house & techno sound that would be right at home in either city. 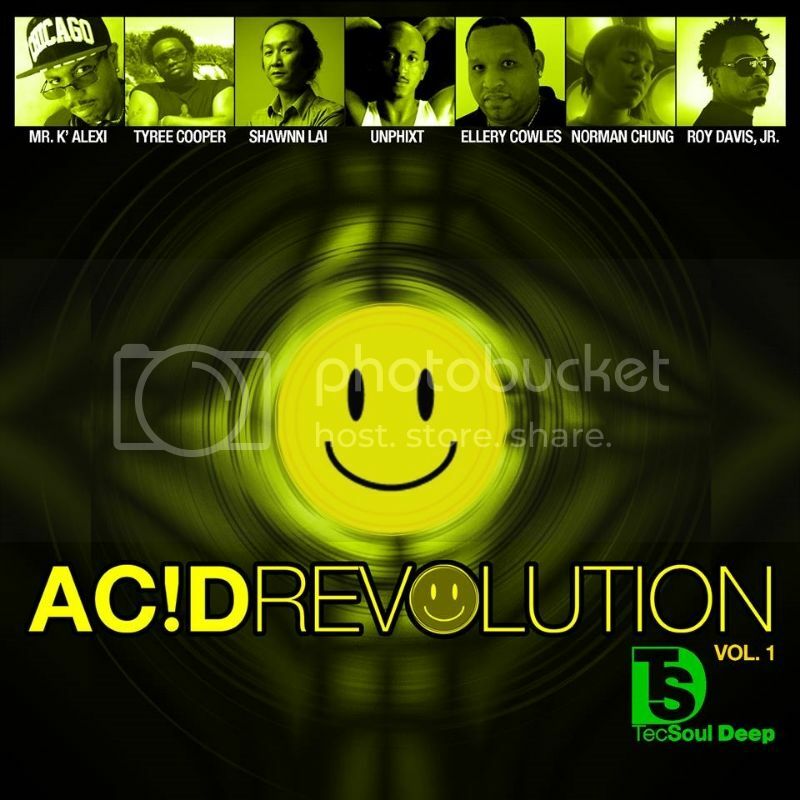 'Ac!D Revolution Volume 2' is the second release on the new imprint, and features some of House music's legends and rising stars, including Joe Smooth, Dj Skull, Maurice Joshua, unPhiXt, Shawnn Lai, and a fresh new remix of the seminal track 'The Dancer' from Norman Chung.